Inquiry caption The first category of biological explanations for moral behavior (listed in Table 1) involves interpreting the acts or outcomes in an evolutionary context, in terms of fitness, or survival and reproduction measured in genetic terms. Some behaviors or dispositions — not all — are partly hereditary (innate or instinct). To the degree that they are, they will be subject to natural selection. Based on your understanding of natural selection, what kind of behaviors will result? Does cooperation or helping others seem possible? Consider this example: insect pollination of flowers. 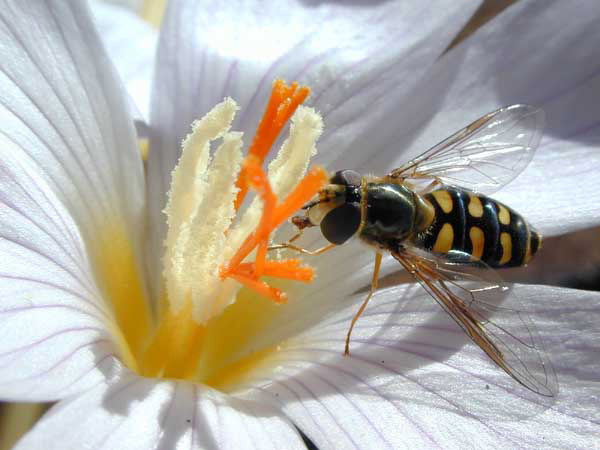 The flower produces nectar at a cost, but the insect benefits: why? Target Concept: Cooperation and helping behavior are simple evolutionary puzzles.